A leading Fairfax, Virginia carpet cleaning expert has announced it can provide flood restoration services for local residents. The team can restore clients’ homes following floods, leaks or burst pipes. 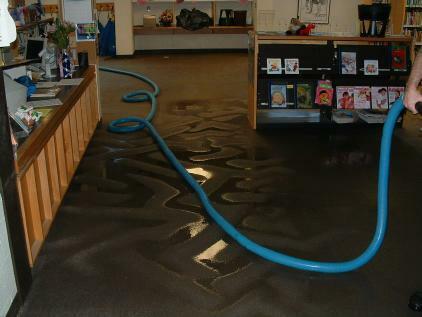 Astrobrite Carpet Cleaning has launched a new flood restoration service for local customers around Fairfax, Virginia. The specialist team can fully restore a client’s home after a flood, leak or burst pipe, helping to reduce and prevent further damage down the line. The site explains that Astrobrite has a reputation for excellent carpet cleaning and restoration services around Fairfax, Virginia. The company has a focus on customer satisfaction and strives to always leave their home in better condition than they found it. Astrobrite is run by Steve Hunter, who first learned the importance of customer service in the restaurant business. In 1988, he started working for a carpet cleaning company, but grew dismayed at their approach and need to up sell services. After this, he created his own cleaning company with a focus on providing customers in the local area with the best service. Astrobrite Cleaning uses state of the art equipment that ensures a deep clean, getting rid of dirt and bringing them back to like-new quality. Heavy rain and flooding can be huge problems for homeowners around Northern Virginia. Storms can enter quickly, and drains get clogged up fast, leading to further problems. When dealing with flood damage, it’s important to get in touch with an expert fast, because without prompt water damage restoration, the damages areas of a property can cause other issues and even health risks. If the water has come from a sewer, it could be contaminated. Even clean water can cause severe problems when it’s left standing. Full details can be found on the URL above, and interested parties can get in touch at 703-914-2811.